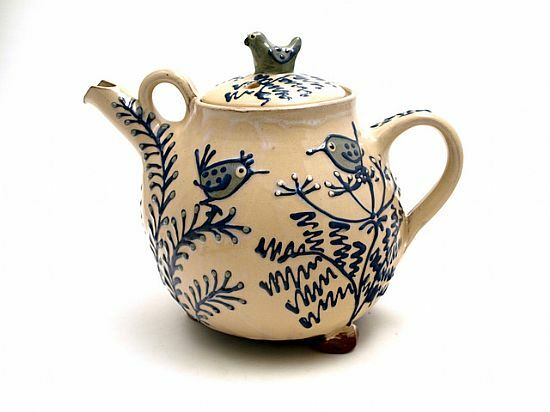 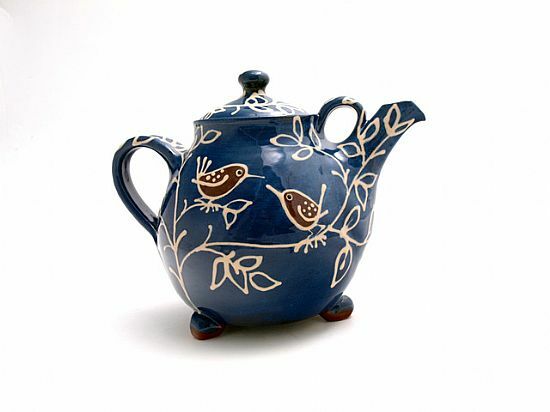 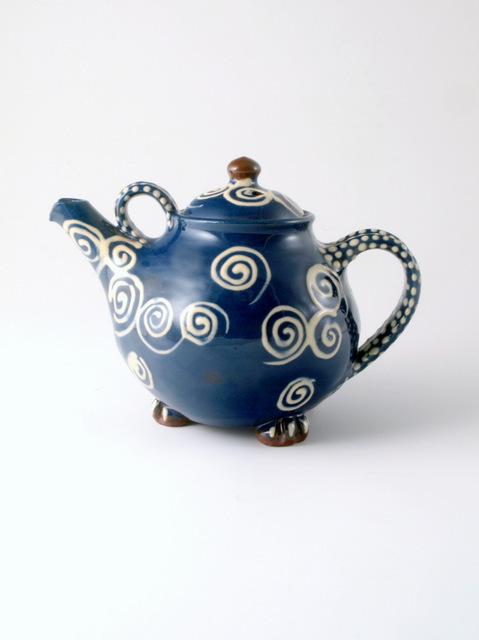 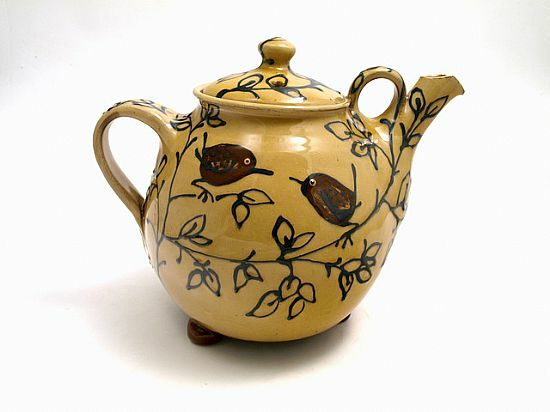 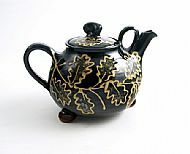 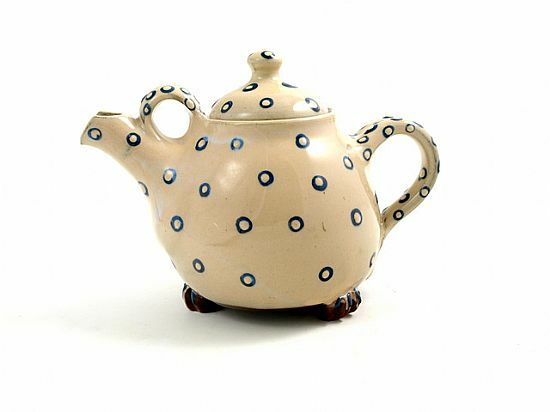 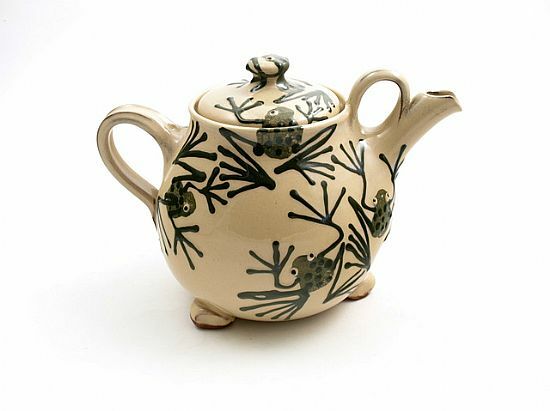 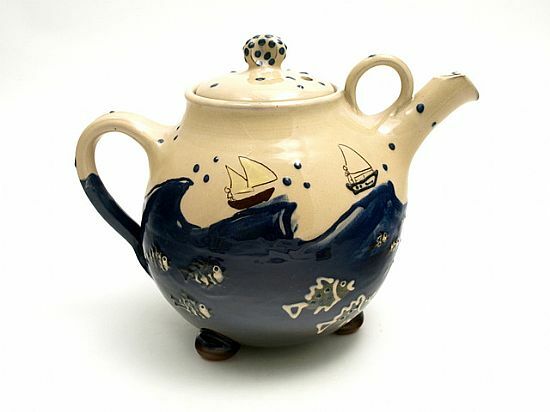 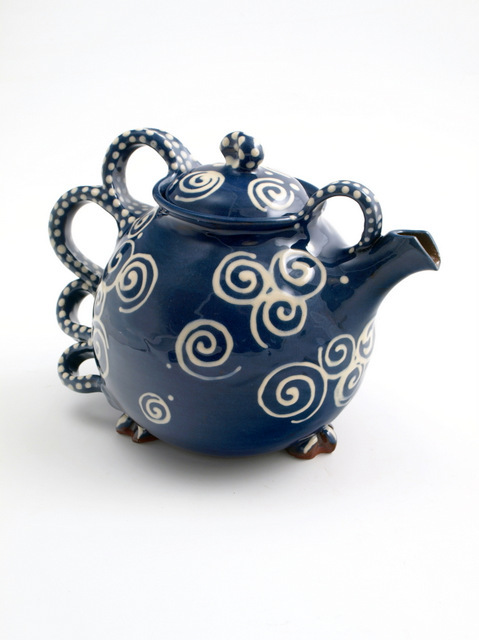 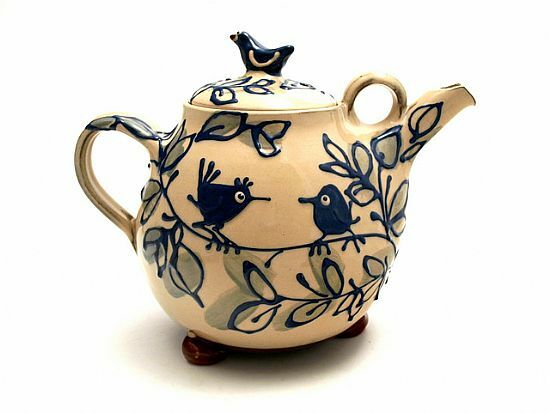 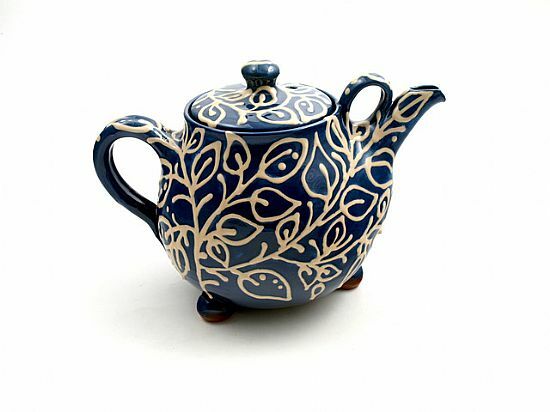 I make teapots in a range of sizes and designs. I like to make them with feet which protect your table from the heat and a finger loop at the front for easy pouring. 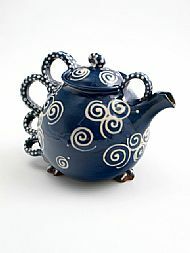 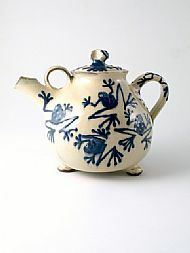 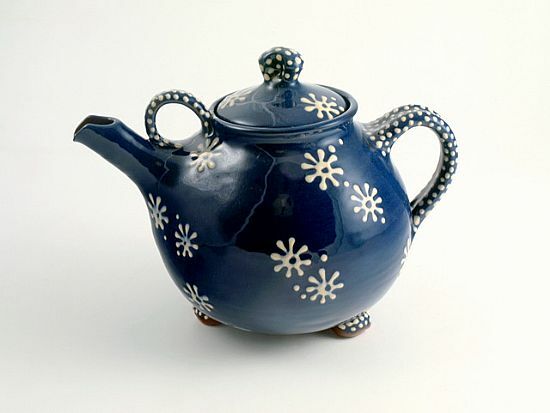 Contact me to order a teapot made to your specifications, or to discuss your ideas and requirements. 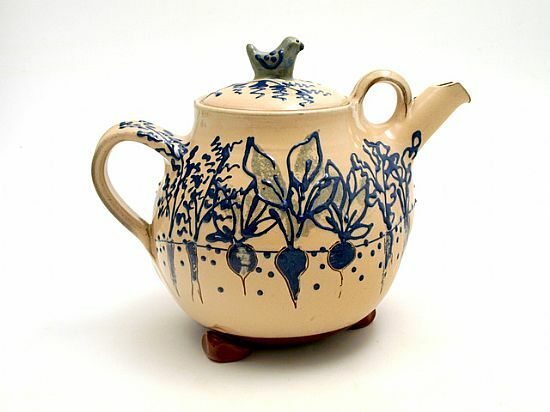 See other types of pots.